Welcome to Retro TV Themes Revisited, an on-going AD feature that aims to mine our long-running collection of past television (aural) glories – they just aren’t making them like they used to. Have at it in the comments. Alright, you asked for it — Barney Miller. 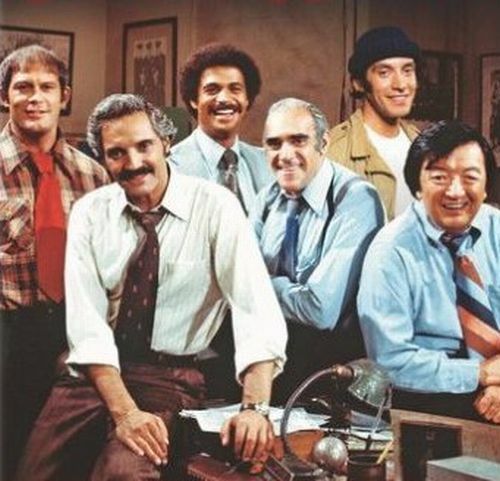 Based on a 1974 pilot entitled The Life and Times of Captain Barney Miller, the show aired from 1975-1982 boasting not only a lasting template for future ensemble detective situation comedies (not to mention other genres), but that unmistakable bass line intro. You know you love it. My favorite theme song ever. The creators of the show later went on to make Night Court which followed many of the same conventions. That one brings back some good memories. Right up there with Sanford and Son for best ever TV theme song. Hell yes on both counts Paul. stratosphere bass line? check. world-class horns? check. a drummer on the dig? double check. great show, echoing the sanford neck and neck for best. One of the greatest themes ever, no doubt. Not surprising, as I read where the tune was written and produced by none other than the classy Quincy Jones. I was waiting for this one! You could be halfway across the house and here that bass line and know it was time for your father to watch Barney Miller! Thanks! Haha, yess! That bassline alone was practically the main reason I took up the bass back in ’87. Sidenote: I still can’t play that bassline half as good as I’d like. There’s a music store in Toronto with a list of forbidden bass riffs posted on the wall. The Barney Miller Theme is one of them. It’s irresistible.